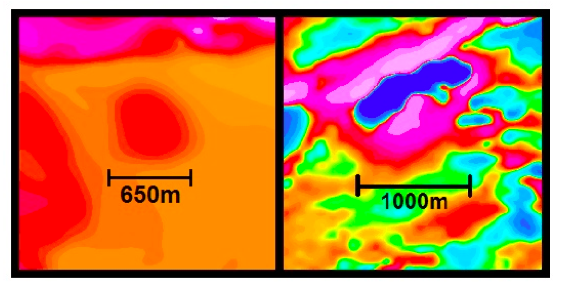 An isolated ground gravity low similar to that observed over the Jwaneng Diamond mine kimberlites. TORONTO, ONTARIO (June 11, 2013) – Pangolin Diamonds Corp. (TSX-V: PAN), (the “Company” or “Pangolin”) is pleased to announce it has completed a detailed aeromagnetic and radiometric survey over its 100% owned Jwaneng South Project in Botswana. 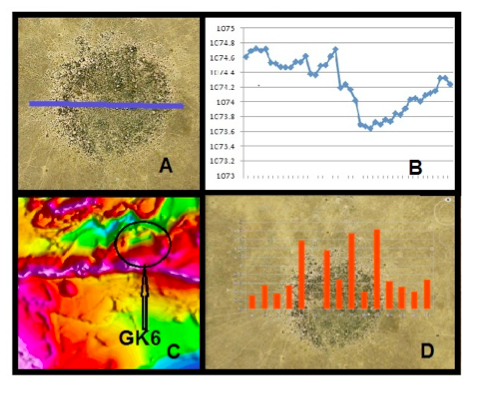 The survey of the 799 km2 project area, located on the Archaean Kaapvaal Craton, identified multiple large aeromagnetic anomalies commonly associated with kimberlites. In addition, a ground gravity survey was completed over the 1.4 km diameter GK6 target. The Jwaneng South Project is close to De Beers’ Jwaneng Mine, the richest diamond mine in the world by value (http://www.debeersgroup.com/Operations/Mining/Mining-Operations/ Debswana/Jwaneng). A 1.4 km diameter geobotanical anomaly, identified as “GK6”, is directly associated with an aeromagnetic anomaly. The geobotanical anomaly over GK6 is similar to that associated with the 350m diameter Orapa BK3 kimberlite. Separately, Pangolin confirmed that drilling continues at its Tsabong North Project. In addition, exploration activities continue at Pangolin’s Malatswae and Mmadinare Projects. (A map of the project areas can be found at http://pangolindiamondscorp.com/pdfs/PDC- Property-Map-Nov-2012.pdf). The Jwaneng South Project covers 799 km2 and is situated on the Archaean Kaapvaal Craton in Botswana. It is located 50 km south of the diamondiferous Jwaneng kimberlite field that hosts the Jwaneng Mine, the richest diamond mine in the world by value (http:// http://www.debeersgroup.com/Operations/Mining/Mining-Operations/Debswana/Jwaneng). Pangolin Diamonds Corp. is building a leading diamond exploration and development company in Botswana, the world’s leading diamond producing country by value. The Company fully owns 11 prospecting licences covering 5,307 km2, including the Tsabong North, Jwaneng South, Malatswae and Mmadinare Projects. Pangolin’s management and team leaders are among the most experienced diamond explorers in Botswana, with more than 90 years of combined experience in southern Africa. The Company is well-funded and fully equipped to advance its exploration programs for the next year, with two diamond drill rigs and a portable 1 tonne per hour Dense Media Separation Plant for sample preparation and making kimberlite concentrates.